Last year, the #MeToo-movement started in Hollywood after producer Harvey Weinstein was accused of sexual harassment by several women. The most asked question back then was: When will Bollywood start it’s #MeToo movement? Now, almost a year later it’s Bollywood’s turn. Just recently Tanushree Dutta took it upon herself to speak up about an incident that happened on the sets of the film Horn OK Pleasss about ten years ago. She told her story in 2008 but wasn’t taken seriously. Nobody supported her. Today various actresses expressed their support to her. This has led to an explosion of stories by women who were sexually harassed by men in the film industry. Nobody saw this tsunami of stories coming. Social Media, especially Twitter exploded. Several celebrities have now been accused of sexual harassment. These celebs include Nana Patekar, Vikas Bahl, Subhash Ghai, Sajid Khan, Chetan Bhagat, Rajat Kapoor, Sanskari uncle Alok Nath, Kailash Kher, Anu Malik, Raghu Dixit, Luv Ranjan, Kangna Ranaut, Bhushan Kumar, music composer Anu Malik and the last one is none other than Amitabh Bachchan. Superstar Akshay Kumar also responded on Twitter. He requested the producers of Housefull 4 to cancel the shoot until further investigation. He firmly stated he doesn’t want to work with proven offenders and said those who have been subjected to harassment should be heard and given justice. In the meantime, Sajid Khan has stepped down as director of the film and Nana Patekar is no longer part of Housefull 4. With the reaction of Akshay Kumar, one notices that most of the top stars have not reacted to the matter or have just given a rather diplomatic answer to any question regarding this movement. Kajol acknowledges that harassment happens. She heard several stories but has ever experienced anything like it. Young stars such as Saqib Saleem and Ranveer Singh shared their experiences in which Ranveer Singh admitted that Casting Couch is a real thing. The latest celebrity to be accused of sexual harassment is music composer Anu Malik. Years ago, singer Alisha Chinoy had taken him to court for sexual harassment. According to Alisha, the whole industry was aware of his philandering ways, and how he was preying young girls his daughters’ age, but even his family and wife turned a blind eye to it. Pandora’s box has opened and its creating mayhem in the industry. 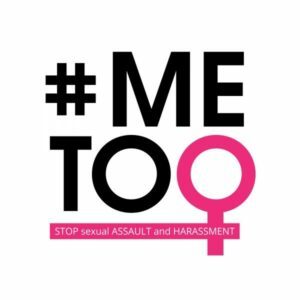 Will the #MeToo movement continue or will it die a lonely death? Will these women get justice? 16 queries in 0.500 seconds.